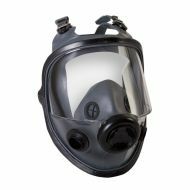 North Thermoplastic Elastomer #54001 Low Maintenance Full Facepiece, 4-point headstrap, nose cup. 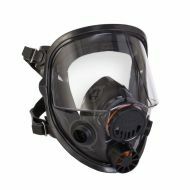 North 7600 Series Silicone Full Facepiece with 5-point headstrap and Speech Diaphragm. 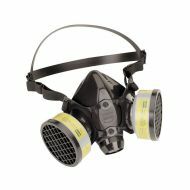 North® 7700 Series Reusable Silicone Half Mask Respirator.